Today I’m pleased to have Charlene A. Wilson, author of One for Kami, stop by for an interview. Could you tell us a little bit about the books you write? My books are on the sensual side and introduce new worlds and ways. While I do have some Contemporary and Urban Fantasy stories waiting for their moment in the spotlight, the one out now take you to other dimensions. One for Kami begins in dimension Two-Eight-Five, where the Elite men are required to have three wives to eliminate poverty through inheritance. Kami didn’t realize Ian was an Elite when she fell in love with him and now that she knows, she can’t bear the thought of sharing him with two other women. She travels to Three-Two-Three—which happens to be our very own dimension—and begins her search for one true love near Chicago. But Ian has his own agenda. The other two books I have out are in the Cornerstone Deep series and take you to a world where true love endures beyond death and soul mates are reunited…albeit unexpected and in the most inconvenient way. Cole, head of the Sentinel family has pined for Mianna for centuries after her death. How could he expect to find her when he harvested a lawbreaker for service to a Grand Marshal? This series is filled with magic, gods, and very determined souls when it comes to keeping their loves! What about your process? Are you a plotter, pantser or something of a hybrid? Was there a particular catalyst that inspired you to start writing novels? I don’t think it was a catalyst, really, just the need to get things down on paper and let them live. I have vivid dreams and in them are amazing people. These people are so strong that the writing just seems a natural way to share them with others. What is your favorite type of leading male? The broken hero who finds his strength again through the one he loves. Who finds he is more than he thought he was and fights huge obstacles to have her in his life. I like them to grow. He tasted like the innocence of Juicy Fruit and the heat of a starved man. Memories flooded her of their walks along the river, late nights at the Haven meets, and his kindness to the smallest creature. Tears welled in her eyes, and she basked in the pleasures of having the only man she would ever love. What about a single line? What would you say is the thing you do best in your writing? I think the best part of my writing is the thing I can’t really take credit for. It’s the character’s personalities and dialogue. They become very real in my mind as they let me know how their stories play out. Is there anything else you would like to share with us? Maybe upcoming book plans or releases? Chad is in love, but the world isn’t right—not when you’re forbidden to have the one you desire just because she’s your slave. His vitality host, Dee, has held his heart in her caring hands since they were children. He must find a way to set her free, and that means finding a way to live without her aid. Chad believes the answer lies in the World of the Sun where they originated, not the world of his cavernous home. Fate will guide him, he knows it. When Salana, Daughter of the Sun Nation, meets Chad, she’s faced with the unbelievable; a man who must take energy from a host to survive. He’s not the only one. The entire Tsosey Nation is plagued with this unusual need. The strong yet meek Chamber people submitted to serve them through the centuries. Can Salana help this young man whose dreams of freedom could change the course of both nations? And can she do it without falling for him and turning her back on the marriage arranged by her parents? Before I was a writer, I was a reader. One of my favorite authors is Karen Moning. So for this blog hop, I’ve decided to highlight my favorite romance from her, The Dark Highlander. I think this is the first book in which she really starts to write a darker hero. This trend in her writing carries forward into her next book and also her Fever Series, another absolute favorite of mine. 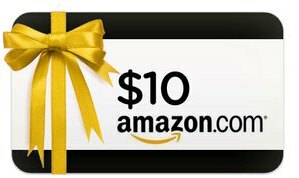 To help you on your way to reading this great series, I’m giving away a $10 Amazon gift card. Don’t stop here! All of the sites below are offering up their own giveaways! Today, we are joined by Dawna Raver, author of The Colour Wielders Series. Your books aren’t easily categorized. If you could create a genre that fit them perfectly, what would it be called and why? I guess romantic, new adult, fantasy. All of my stories center around main characters who are between 21-28 years old. I was recovering from surgery and was bored out if my skull. So, I sat down and started making notes about an old memory. Four years later, Colour Wielders was complete. What type of books do you read? Do you have time to read anymore? The only way I’m able to keep up with reading is because of audiobooks. I adore them. Without them, I’d be way behind. I love urban fantasy, paranormal romance, contemporary romance, and erotica. Right now, I’m listening to Real by Katy Evans. Loving it so far. What authors were your biggest influence? JK Rowling, Karen Moning, Jim Butcher, and JR Ward. What was the last book that blew your socks off? I’d have to say Wallbanger by Alice Clayton. That book busted me up! Arik Morgaine vowed he’d save Quinn no matter the price. When his well thought out plans go terribly awry, a desperate and heartbroken Arik is forced to beg the cruel Triarchia for help. Unwilling to go on without his Älskling, he answers a question that irrevocably alters their lives. In celebration of Severed Colours’ release, Colour Wielders will be on sale from November 18-20 for $.99. Purchase it at Amazon now.